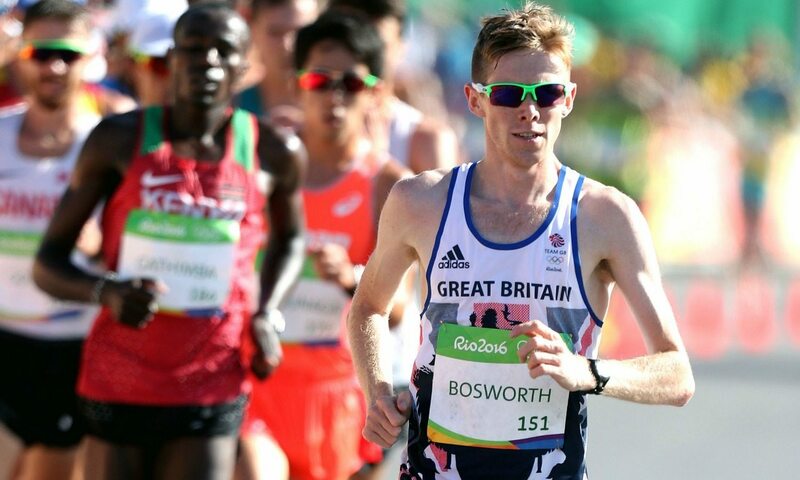 Tom Bosworth smashed the British record for the 20km race walk as he finished sixth in an Olympic final dominated by Chinese duo Zhen Wang and Cai Zelin. It was the best performance by a British race walker since Paul Nihill finished sixth in the 20km at the 1972 Olympics and was a well-deserved success for the Leeds-based athlete after the 100/1 shot had boldly led for the first half of the race. Bosworth clocked 80:13 to take 28 seconds off his national record while up ahead Wang sped to victory in 79:14 as teammate Cai clocked 79:26 in second ahead of Dane Bird-Smith of Australia, who took bronze in 79:37. “To break the British record by such a margin and at the Olympics is a dream come true,” said Bosworth. “It was just an amazing experience. I’m so happy I cannot put it into words. “I can’t be disappointed with sixth place at the Olympics but I could have done better as I had a dodgy stomach last night and that affected me a little bit. Just behind in fourth, Brazilian Caio Bonfim enjoyed huge support from host nation fans on a road course that wound its way around short, spectator-friendly laps in Rio. Coincidentally, Bird-Smith beat Bosworth at the British Championships while competing as a guest earlier this summer. And here the Australian again had the upper hand as he overtook Bosworth during the final 10km as the Briton’s early efforts began to tell. Bosworth rallied to finish sixth, though, and for British race walk fans his superb result evoked memories of Ken Matthews, who won the Olympic 20km race walk gold for GB in Tokyo in 1964, not to mention 1960 Olympic 50km champion Don Thompson. Aged only 26, Bosworth is still improving and a medal in Tokyo 2020 could be on the cards – coincidentally the same city that Matthews won Britain’s last gold medal in this event.